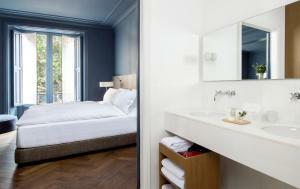 Alma Barcelona is set in an attractive building just off Barcelona’s Passeig de Gràcia. It offers a spa, a stylish restaurant with a terrace, and air-conditioned rooms with free Wi-Fi. 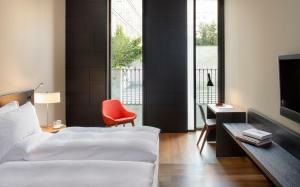 Alma Barcelona rooms feature smart, modern décor and leather armchairs. 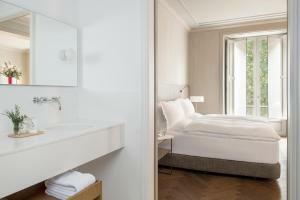 They are equipped with a flat-screen Loewe TV, Punkt phone, and the private bathrooms come with a bathrobe and slippers. 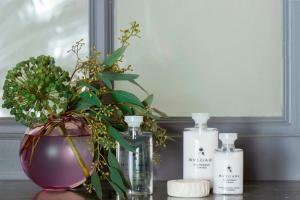 The Alma’s spa features an indoor pool, a Hammam and a sauna. There is a gym, and massage is also available. 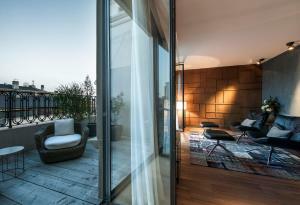 Staff at the Alma’s 24-hour reception can provide information on Barcelona’s many attractions. On request, the hotel offers an airport shuttle service to Barcelona El Prat Airport, a 25-minute drive away. 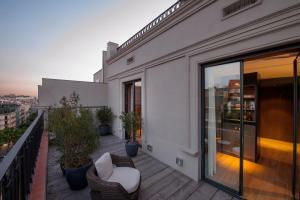 The hotel is just one block from Gaudí’s La Pedrera and a 5-minute walk from Casa Batlló. You can walk to Diagonal Metro Station in 5 minutes, while Plaza de Catalunya is just over 1 km away. If you are not the owner of the credit card used to make the reservation, please contact the property in advance. Guests are required to show a photo identification and credit card upon check-in. Please note that all Special Requests are subject to availability and additional charges may apply. This stylish room features smart, modern décor and leather armchairs. 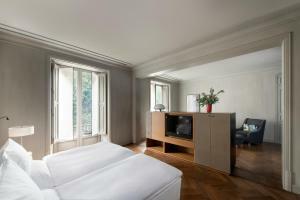 It is equipped with a flat-screen Loewe TV, Punkt phone, and 2 single beds. 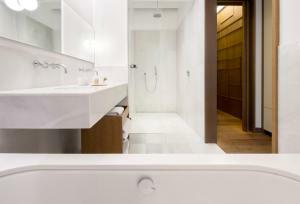 The private bathroom comes with a bathrobe and slippers. 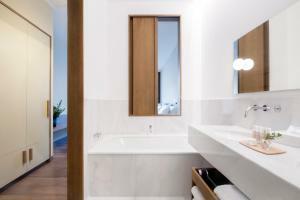 The minibar includes free non-alcoholic drinks, and all guests have free entry to the spa. Guests are offered a welcome drink. Rate: € 255.00 ... € 2000.00; select dates below to get current rates. 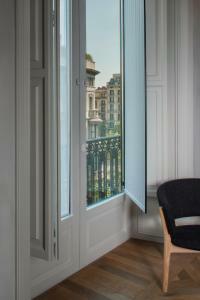 The spacious Grand Deluxe Room is outward facing, with views of the courtyard, terrace and the city. This room features smart, modern décor and leather armchairs. 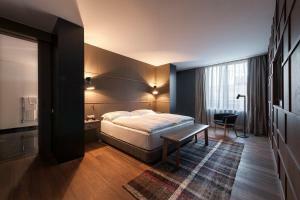 It is equipped with a flat-screen Loewe TV, Punkt phone, and double or twin beds. The private bathroom comes with a bathrobe and slippers. 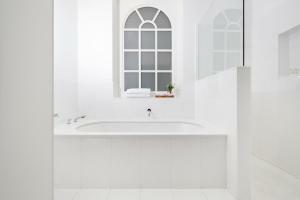 The minibar includes free non-alcoholic drinks, and all guests have free entry to the spa. Guests are offered a welcome drink. The spacious Executive Suite has a separate seating area. 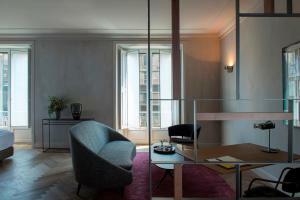 This suite features smart, modern décor and leather armchairs. 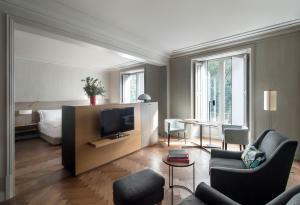 It is equipped with a flat-screen Loewe TV, Punkt phone, and an extra large double bed. The private bathroom comes with a bathrobe and slippers. 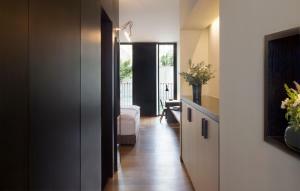 The minibar includes free non-alcoholic drinks, and all guests have free entry to the spa. Guests are offered a welcome drink. 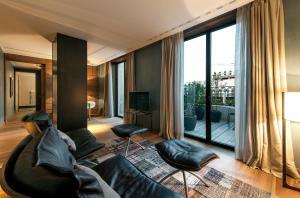 An exclusive suite with a 20 m2 private terrace and views of the city centre and its night-time iluminations. 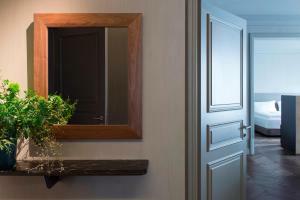 A spacious dressing room and bathroom, an entrance lounge and a main lounge where you can read, relax or chat. 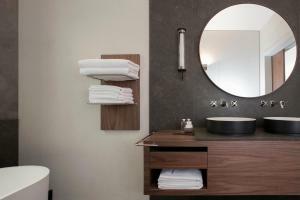 Equipped with the latest technologies including Loewe TV, free mini-bar, Bvlgary amenities, Mac Apple computer and Tivoli radio, in addition to the wide range of services available in all of our rooms. 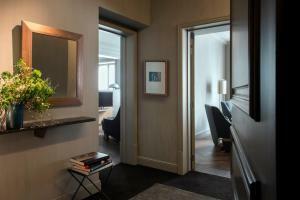 This suite features a cable TV, bathrobe and soundproofing.